I have written about some pretty dull stuff, and this post might be right up there with the worst of them, but I thought I had should say a few words about the Pro-Line mini boom microphone stand. Boring as it may be, if you want to mic a kick drum or a guitar cabinet, these things are indispensible. 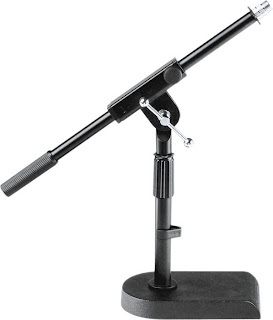 This stand is adjustable from 12 to 17-inches tall, and the boom extends from 1 inch to 9 inches. With the boom extended, you can position a microphone from floor level up to about 24 inches. It is sturdy with a solid bass and plenty of ground-hugging weight. The stand unscrews from the base, so it can be knocked down a little smaller for transport, but I usually leave mine assembled. 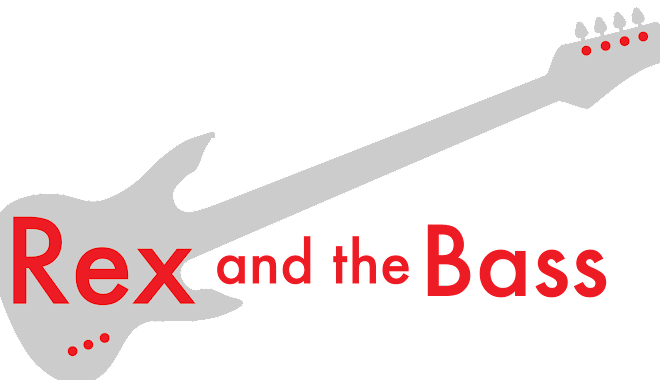 I have used this one with my Shure Beta 52A, which is a pretty heavy microphone (22 ounces) so I had to balance the boom a bit to get the microphone low enough for the tone hole in the kick drum. The height and boom adjustments held fine despite the weight of the microphone, and the base is heavy enough that it did not slide around despite some pretty heavy drumming. I have also used it for speaker cabinets and it is nice that it has a smaller footprint than full-sized boom stands, so it is less likely to get knocked over on crowded stages. And, it also works nicely for DJ gigs as a table mic stand, and provides a more professional appearance. If you do any live sound work, I recommend that you have one of these on hand. They sell the ProLine MS112 stands at Guitar Centers everywhere, and the list price is $43.49 with a street price of $30.49. As an added bonus, they come with a 3-year warranty, so make sure to save your receipt.